The name itself alone sounds threatening. Being bitten by one is even worse. Here are some tips you can follow to avoid a bite from a wolf spider. New York is home to a variety of spiders, which aren’t only creepy, but intimidating too. The wolf spider is just one of them. These are large brown, black, gray or orange colored spiders having a thick hairy body, large compound eyes, and sturdy legs. They don’t create webs, but are hunters by nature, and got their name because of this nature. 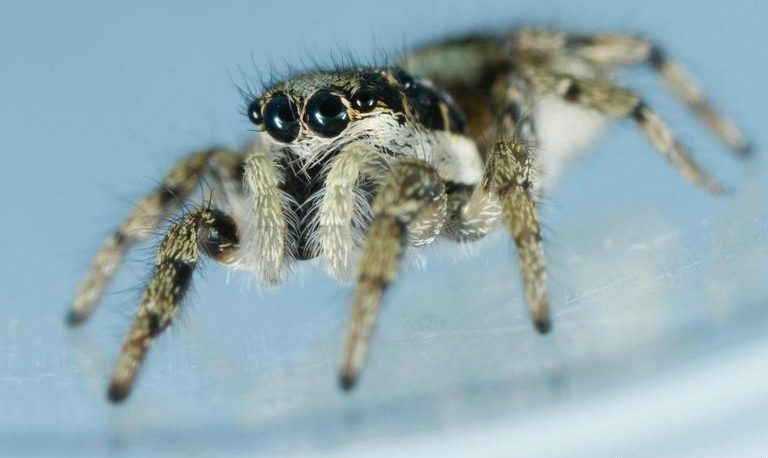 The most threatening factor attached to spiders is their bite. Almost all spiders can bite humans, but not all of them are venomously resulting in life-threatening symptoms. Unlike the venomous Black Widow or Brown Recluse spiders, wolf spiders aren’t poisonous and do not pose harm to adult humans. Why Does a Wolf Spider Bite? Wolf spiders don’t bite humans out of habit or for food. Although they are quite aggressive towards their prey, when they come across humans they usually retreat. But if the person provokes them or tries to step on them, they will bite in defense. Wolf Spiders only attack humans or bite them when they feel threatened. Even though wolf spider bites are painful they aren’t detrimental to human health. Their venom has an extremely low neurotoxin. The common symptoms are similar to any other bug bites which include itchiness, redness of the area, and swelling. Despite wolf spider bites not being dangerous to humans, it is still a good idea to avoid the pain that comes from one. To avoid wolf spider bites it’s essential to wipe out these menacing spiders from your place. Follow these preventive measures which you should take to get rid of these spiders, and avoid their painful bites. Wolf spiders prefer to live in dark and shady places and are ground-dwelling hunters in nature. They usually infest the outdoor premises like gardens because of the easy availability of prey. Take these steps to avoid a wolf spider infestation in your yard. Clear your yard, and get rid of all sorts of debris and clutter. Remove extra stones, empty planters, grass clippings, firewood piles, mulch, and compost as these provide the much needed dark hiding places to wolf spiders. Wolf spiders live close to the ground, and low vegetation is one of their favorite hiding places. If you come across such a plantation, there is a concern for a bite. It’s better to remove heavy ground covering plants, but if removing all of them isn’t possible, then shift them away from the house’s perimeter. To prevent wolf spiders from sneaking into your house, it’s critical to seal all types of cracks, gaps, and holes. Any holes in the exterior walls, around windows, doors, and the house’s foundation should be sealed off. Repair broken window panes, and install insect screens over all vents in the house. Light attracts insects, and they are favorite prey for wolf spiders, so keep exterior lighting at a minimum as much as possible. Also, instead of regular outdoor lightings, use sodium vapor lights. They aren’t very attractive to insects, so they stay away from them. Although wolf spiders prefer outdoor settings, they can also sneak into your house either in search of food or shelter. 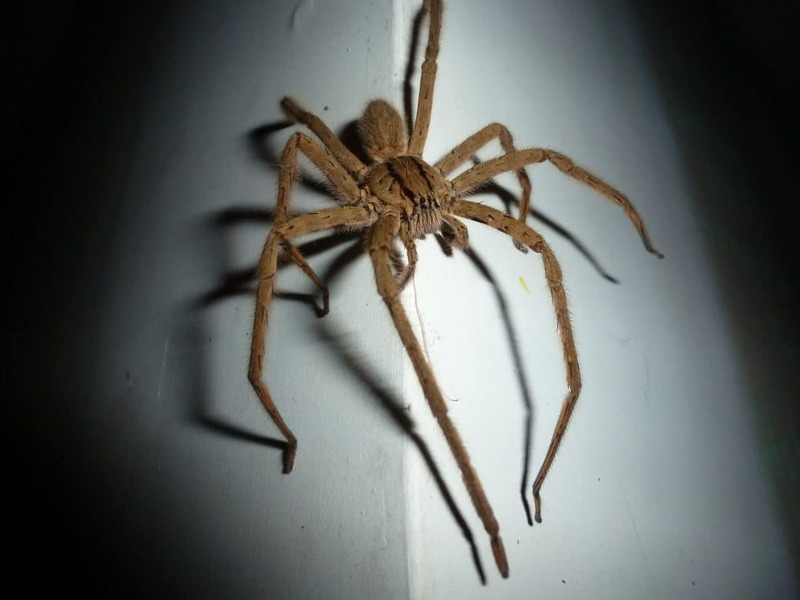 Take the following measures to control wolf activity in your house and protect yourself and your family from painful wolf spider bites. After caulking the gaps and holes in outdoors fill the gaps and cracks from inside as well. Install weather stripping under doors and windows, and remove any possible entry points. Vacuum your house regularly because this will help in removing the debris and spilled food particles that attract insects, bugs, and pests which in turn invite wolf spiders into your house. Wipe out clutter like old magazines, cardboard boxes, books, and dirty clothes from your house as much as possible. They provide a safe hiding place to wolf spiders. Store your belongings in the attic, garage, and airtight plastic containers. But if despite all the precautionary measures, you come across a wolf spider and it bites you, don’t panic because although the bites are painful they aren’t deadly. Unlike other spiders, Yellow Sac Spiders do not make or create webs, instead create sac silk in the path, which they travel in the daytime like in the corners of the wall, door opening, and wall joints. But what about their bites? Are they dangerous to humans? One of the common spiders found in the United States is the yellow sac spider. However, these creatures are located in very dark places like close boxes in houses and non-ventilated areas. Most of the time, these spiders can be found in an office, households, garage, and other closed areas to hide in cold weather. You can easily see them in the green grass during the summer season. 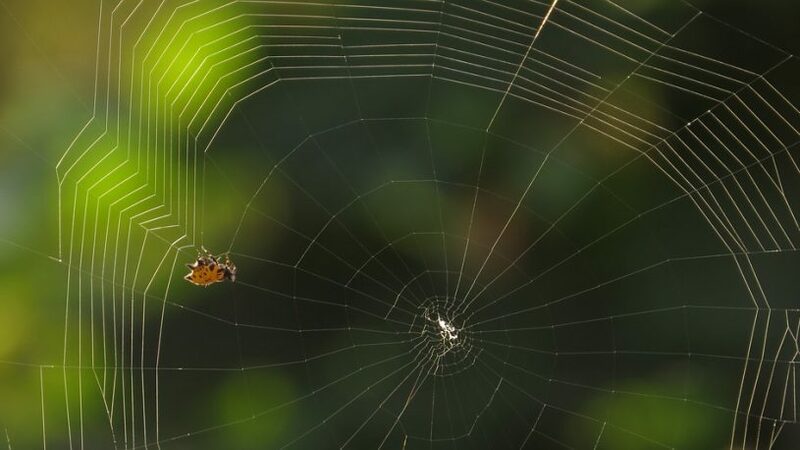 Unlike other spiders, these creatures do not make or create webs, instead create sac silk in the path, which they travel in the daytime like in the corners of the wall, door opening, and wall joints. Female sac spider usually lays 30 to 48 eggs and put silk over them. Eggs are usually laid in autumn. The female may produce many eggs during her lifetime. 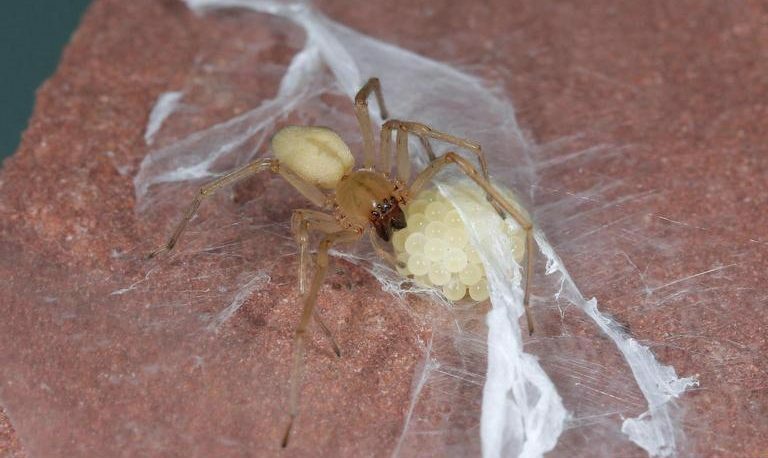 Yellow sac spider takes shelter in flattened silk tubes during the day and moves out to hunt during the night. Cheiracanthium inclusum and cheiracanthium mildie are two well known species of North America referred to as yellow sac spiders. An adult female sac spider body is typically 1/4 to 3/8 inches in length and its leg span is up to 1 inch. Males are more slender, with slightly larger leg span than the females. Moreover, its abdomen is pale yellow to light green in color. These spiders are usually small in size, and its body is yellow. 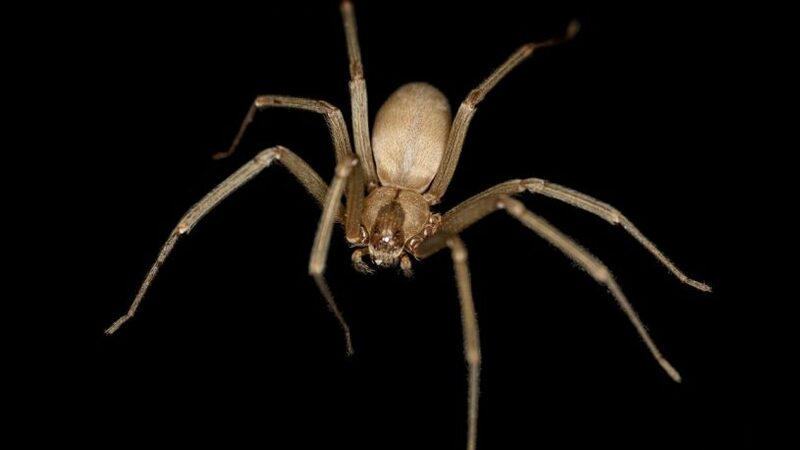 Not always but in some rare cases, it is a mixture of yellow and brown, so people usually get confused to identify them with the brown recluse. As they are small in size, examining them is very difficult and may require a magnifying glass. Brown Recluse Spiders vs. Yellow Sac Spiders: What Is the Difference? While both yellow sac spider and a brown recluse have many things in common, it is very important for us to remember that a yellow sac spider bite is not so harmful. Identification of these spiders is essential. 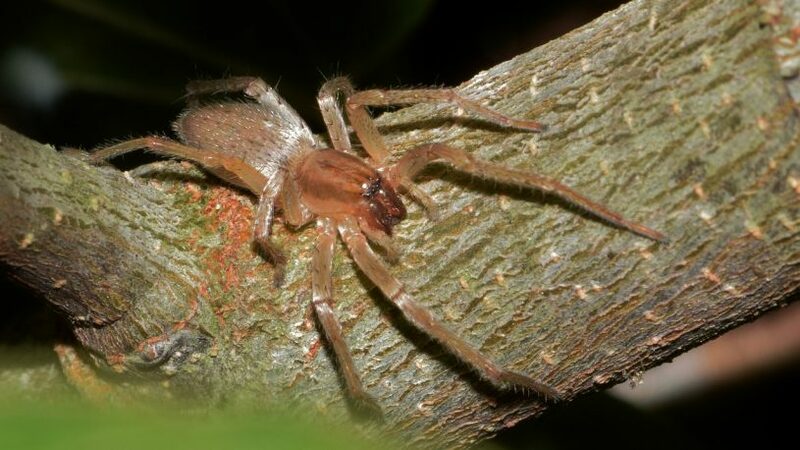 At first, you may feel like it’s a normal and harmless brown spider, but by distinguishing their characteristics, you can quickly identify them from their eyes and front legs. A typical brown recluse has six eyes arranged in pairs with one pair in front and a pair on either side whereas the yellow sac spider on the head has two rows of eyes, one row on top of the other with four eyes in each row. So in total, yellow sac spiders have eight eyes as compared to the brown recluse. Another characteristic is that the front legs of these spiders are a lot longer as compared to the other legs. What Happen When Yellow Sac Spiders Bite You? Yellow sac spiders are usually venomous and can bite if they get in contact with the human being. If they create a silken sac in between the human skin and bed sheets, then it can bite any human while sleeping, so these spiders are known as night-hunters as they go out for prey at night-time. They can also bite during daytime while a person is working in the garden. Whenever a creature bites human, there will be an effect on the body similarly when these spiders bit a human; it damages the skin cells leading to an inadequate blood supply, bacterial infection and traumatic injury. In the beginning, people misunderstand this damage by common infections of a spider bite. When they ignore the bite, the area becomes too itchy and then starts swelling slowly further leads to redness with a burning sensation. In case of emergency, you need to apply hydrogen peroxide or ice cubes to the infected area to reduce the swelling. If the situation becomes critical and the person starts vomiting or has a severe headache makes sure that you consult a professional doctor for proper diagnosis. In many cases, the bite is naturally healed. All you need to do is keep the area clean by washing it with mild water, as more time is required to heal naturally. 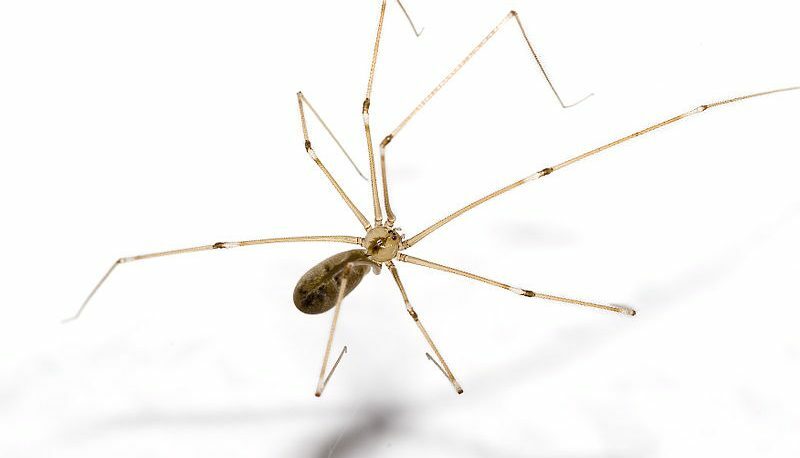 Many remedies are there to avoid these spiders bite. You can keep your house well air-conditioned and ventilated so that sunlight passes through every corner of the house. Use tightened windows and doors to close entrance for spiders. You should also keep the corners of the wall or ceilings clean and remove all the sac and web. You should wear gloves while gardening so that not only spiders but also any other insect or creature can’t bite you. Overall, keeping your house and garage clean and tidy, will avoid these spiders make their stay.